Needed to reduce the lead-time to produce, and deliver individual component parts; improve the part yield; reduce number of defects; and reduce the total cost of the part. Sourcing pipeline of specific ductile iron bar sizing. 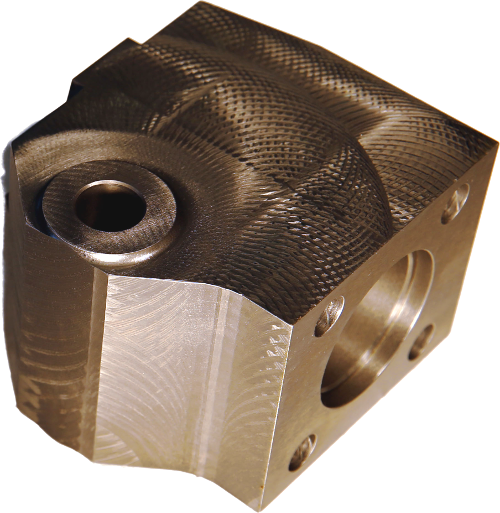 Develop tool paths that re-create the fluid passages that were previously cored in the original casting. Maintain the quality standards with the new processes that the client had come to expect from us. Developed strategic supply relationships to incorporate a stocking program of the ductile iron bar in the sizes we need when we need them. Improved the product yield from 65% to 97% resulting in lower total costs. Improved the lead-time from 15 weeks to 4 weeks to produce and deliver.